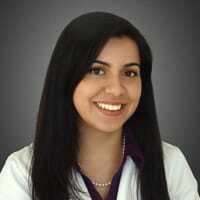 Dr. Jennifer Ornelas is a dermatology resident at the University of California, Davis. She conducted translational research investigating botanical extracts as novel treatment options for acne and earned a master’s in clinical and translational research. She is passionate about working with children and hopes to sub-specialize in pediatric dermatology. She is committed to serving the medically underserved populations of the region and hopes to provide culturally competent specialist care in her future practice.